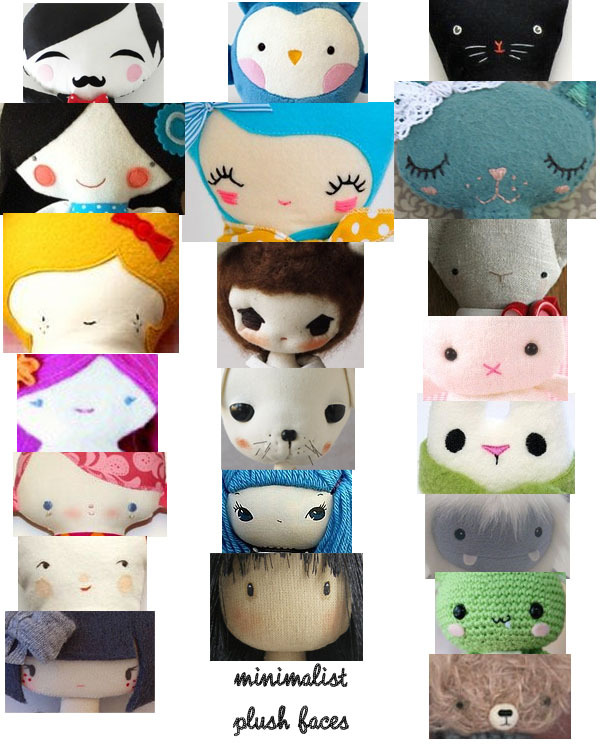 Here are a collection of face designs for various plush toys. You will notice there is quite a trend towards minimalism. These face designs are heavily influenced by 'kawaii' japanese culture such as hello kitty and 'chibi' character designs.